Business introductions are important to every business owner and entrepreneur trying to make a living in a difficult economy. Mastering the art of introducing people elevates a business networker to a center of influence, a person who is sought out because of his or her connections. Introducing people to one another requires a good memory, a firm handshake, and a giving attitude; success at introducing people can be a surprisingly effective competitive advantage in business. At a business card exchange or other networking event, it is safer to assume that all participants are of equal rank. In those cases, Domenici recommends introducing the more-familiar person; it’s easier to find appropriate things to say. Ensure you remember the name of each party to the introduction. Shake hands with the party of the first part (Dr. Ness in the example above) and encourage the newly introduced person to do likewise. Bow out of the conversation as soon as it is convenient to do so. Attendees at business networking functions are not always outgoing enough to introduce themselves, and savvy networkers understand that being introduced by a third party often carries more weight regardless. Introducing people creates a certain amount of social capital – the introduced parties are more likely to want to find ways to help the introducer in turn. Making introductions can turn a center of influence into a power broker, a sought-after person that knows who can do the job, no matter what the job happens to be. 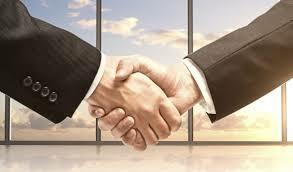 Business networking is an art, and is significantly enhanced by mastering proper business introductions. Introducing business associates can generate significant good will, which is the cornerstone of successful business networking.